The real estate investment trust (REIT) industry usually suffers during uncertain times. If investors decide not to put capital into businesses, demand for office, retail, industrial, and often, apartment real estate tends to decline. Hence, finding REITs to buy can often become difficult during these periods. However, not all sectors see declines. Downturns often force unemployed workers to move in with family and friends. While they live under such conditions, they will often place their belongings into storage units. Hence, storage REITs tend to see an increase in business during these times. Also, health needs emerge regardless of how the overall economy performs. Moreover, with baby boomers reaching old age, the number of people on Medicare currently rises by an estimated 10,000 people per day. This means demand for healthcare-related real estate will continue rising for the foreseeable future. 5G wireless has become another secular growth trend. The advent of 5G forces all of the major wireless carriers to invest billions in infrastructure upgrades. Companies such as T-Mobile US Inc (NASDAQ:TMUS), AT&T Inc. (NYSE:T), and Verizon Communications Inc. (NYSE:VZ) stand to lose market share if they do not upgrade. The number of cells needed for 5G also represents an exponential increase from the needs of a 4G system. Hence, the demand for telecom real estate will see a massive increase regardless of how the overall economy performs. Among REITs to buy in the storage unit industry, Public Storage (NYSE:PSA) stands out. PSA owns the largest number of buildings by far, owning about 60% more buildings than its nearest peer, Extra Space Storage, Inc. (NYSE:EXR). The issue with buying PSA stock is timing. At almost 30 times earnings, the stock appears pricey. However, most of its peers support price-to-earnings (PE) ratios that are near or well above this level. Moreover, a measure considered to be better regarded for REITs called funds from operations (FFO) makes the valuation appear more favorable. Wall Street anticipates 2018 FFO-based earnings at $10.55 per share. This takes the forward multiple down to 20. The company earned $10.23 in FFO in 2017 and expects to earn $10.89 for 2019. Hence, investors should expect an annual growth rate of about 3%. The dividend stands as another benefit with this stock. Because of the 90% payout requirement, profits from people’s downsizing will flow directly into the pockets of investors. Right now, the annual dividend stands at $8.00 per share. This amounts to a yield of around 3.75%. The one caveat to this investment strategy is that buyers should expect a delayed reaction before uncertainty starts helping PSA stock. This makes sense as people tend to put off the kind of downsizing that requires storage facilities until they have struggled to find new work for a time and finally make the difficult decision to move in with others. Hence, if the downturn occurs, investors should probably wait until pessimism reaches a fever pitch. Still, for investors who can buy PSA stock on sale, they should enjoy strong profits and a healthy dividend. Chicago-based Ventas, Inc. (NYSE:VTR) owns a portfolio of over 1,200 healthcare-related properties spread across the U.S., Canada, and the U.K. The company diversifies itself across the healthcare sector, operating properties designed for senior housing, medical office, hospitals, skilled nursing, and others. Ventas boasts a compound annual total shareholder return of 24% since 2000. Some credit CEO Debra Cafaro with anticipating the 2008 financial crisis and accumulating the cash needed to weather the downturn. VTR price fell into the teens at the depths of the crisis but has since quadrupled from those levels. The dividend also remained steady during the crisis. Since that time, it has moved steadily higher. The annual dividend stands at $3.16 per share, bringing the dividend yield to about 5.75%. Assuming analyst estimates hold, that dividend should increase. This year, Wall Street expects earnings of $4.03 per share. This gives VTR stock a forward ratio of just over 13.5 when compared with FFO. Analysts expect only modest profit growth in future years. Still, the low valuation and an increasing dividend make VTR an excellent choice in REITs to buy. American Tower Corp (NYSE:AMT) has become a dominant player in the telecom space. 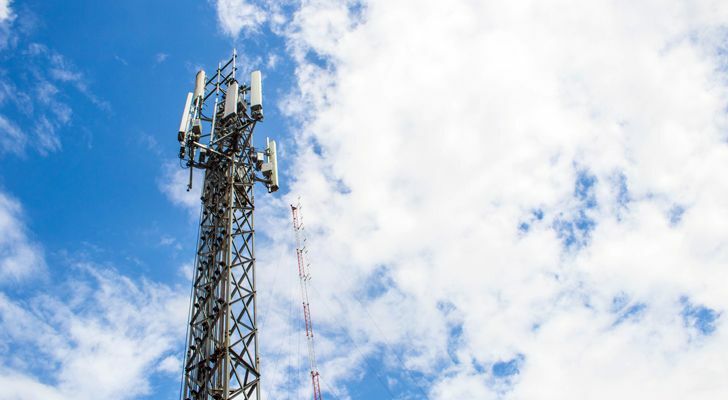 It owns about 150,000 cell towers, more than its nearest peers Crown Castle In/SH SH (NYSE:CCI) and SBA Communications Corporation (NASDAQ:SBAC) combined. The company earned $6.38 per share last year in FFO funds attributable to common stockholders. Using this figure, AMT’s current valuation is 22. And the valuation has not fallen far below that level in many years, even at the height of the financial crisis. It also trades at a lower multiple than either CCI or SBAC stock. Investors should also take note of profits. Wall Street anticipates a consensus profit of $7.05 per share of AFFO profits this fiscal year and $8.04 this year, a 14% increase. The stock achieved penny stock status when it fell to 60 cents per share following the dot-com bust of the early 2000s. However, the stock did not earn a profit or classify itself as a REIT at this time. The stock has also seen a steady rate of upward movement since its penny stock days. Moreover, those who bought at or near the 60 cents per share level and held on have been generously rewarded. With an annual dividend of $3.08 per share, they now earn a five-fold return this year alone without selling a single share. Today, AMT stock trades at around $140 per share. So even shareholders who buy now enjoy a yield of 2.2%. Though modest by REIT standards, that yield should rise as 5G utilizes a larger amount of the real estate leased by AMT. Also, with double-digit profit growth and a steady pace of stock price increases, AMT stock is well-positioned to continue profiting its stockholders. 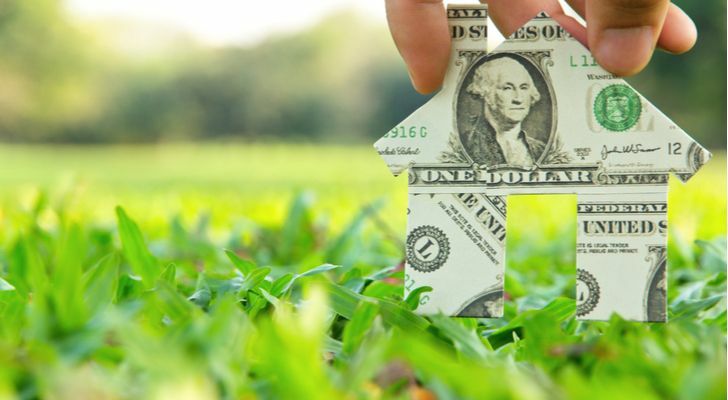 Article printed from InvestorPlace Media, https://investorplace.com/2018/06/3-reit-3-reits-to-buy-times-uncertainty/.